WHEN | Spring 2013 - 5 Weeks. FOR | MICA Flex Design. 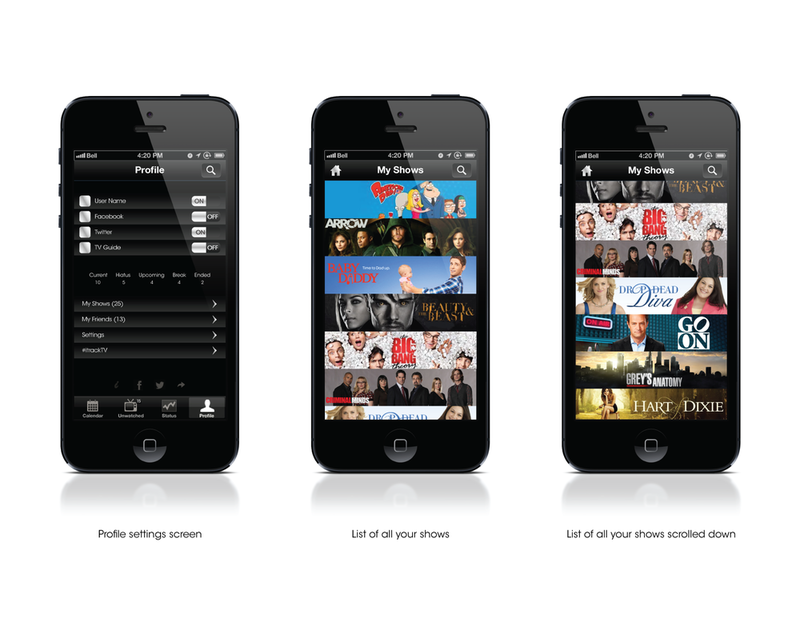 WHAT | Redesign an existing mobile app. ROLE | Graphic & UX Designer. CONTRIBUTIONS | Individual project. 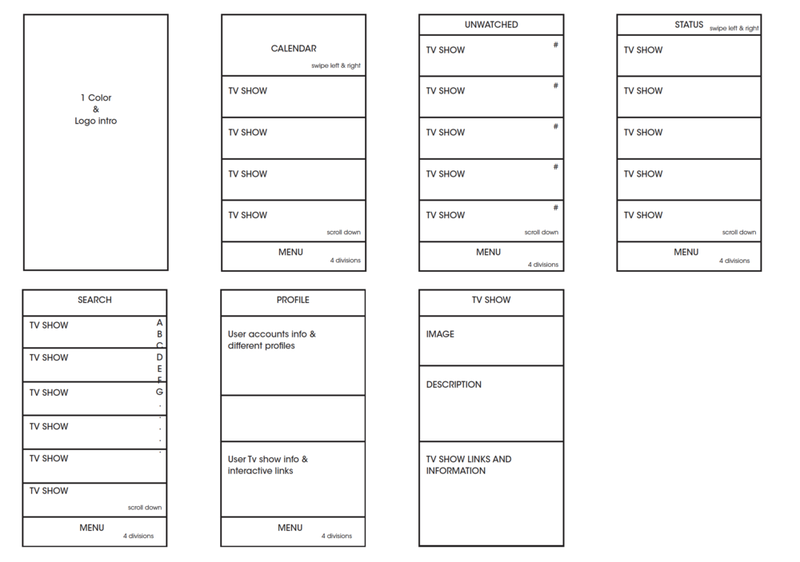 Research, ideation, wireframes, design, and mock-ups. 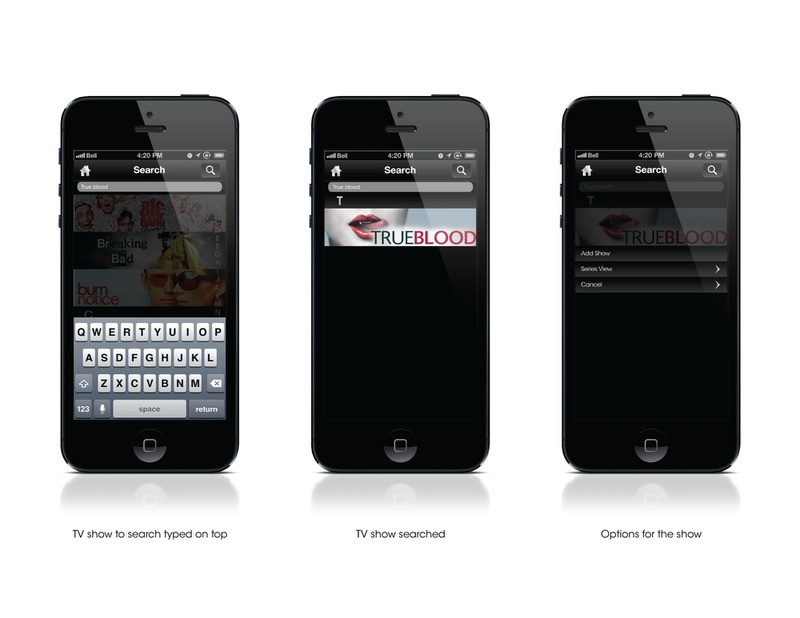 The iTrackTV application is for tracking TV shows. 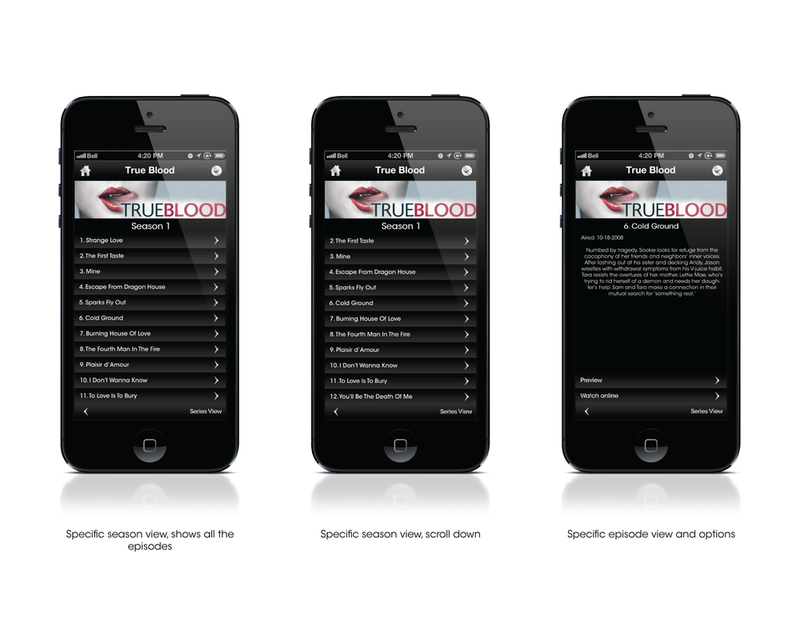 It let’s you know everything you want to know about them, when there is a new episode coming, what the episode is about and track your unwatched episodes. 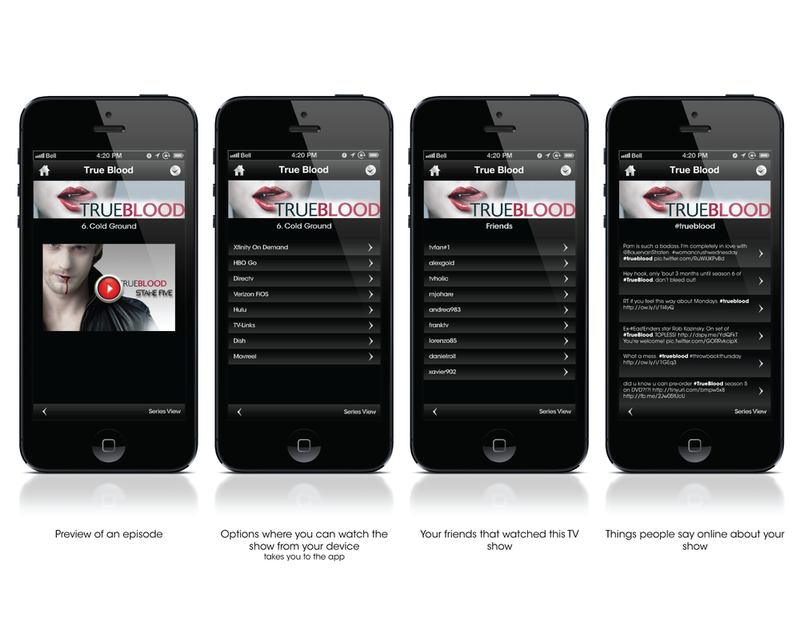 The main idea of the app is great but it had some user experience issues and the design wasn't appealing. The redesign gives a spin with a more elegant and friendly layout and added features.